As you know the problem with most diets is that when you stop following them, you go back to old habits and before you know it, you have put most of the weight back on. Well not us - OK.
Now, i.e. after Daniels diet - You have broken the hold of coffee, bread, alcohol, sugar, chocy, chips, soft drinks/sodas etc. So why go back to any foods you crave or are addicted to; at least until you have beaten the cravings. What i mean by this is- the food (what ever it is) that used to rule or control your choices no longer does and if in the future you choose to have a coffee or chocy, then your mind and spirit are in control and not being controlled, so wait until you have broken completely the addiction or habit. For example i choose to have a coffee once a week in winter, read the paper and catch up on football news and i relax and enjoy it ( i never drink it in summer). In the distant past if i allowed myself to drink coffee daily then i would start to crave it more and more = addiction cycle starting. But now i am Free to choose occasionally something i want to have and that something is ' not choosing for me' i.e. be triggering cravings. I am in control of my choices and not the other way around, is my point. My goals as a health care practitioner, lifestyle coach, minister and author are to give every one, step by step instruction and answers to your individual situation. So that in a few short months you will have reached your goals of losing weight and having more energy and feeling very healthy. The end result being that you get into the ‘zone’ of living a lifestyle that ensures you don’t go back to where you used to be, but maintain your good weight and health. So this healthy lifestyle becomes the new normal for you, and you automatically choose to eat and shop the right way for you. Then you are truly ‘free’. 1. For those who are happy with the Daniels Diet results and just want to go on with a normal lifestyle ( meaning having Daniels plan as your foundation for long term lifestyle, but include some healthy other food types). My Moderation Diet that is easy to live by and allows for everyday food to be enjoyable. This is discussed in my second book Daniels Lifestyle Diet. 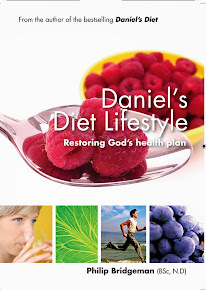 You can purchase this on www.danielsdetox.com Also i have vegan recipe book called Pure and Real Recipe Guide. This diet plan is nearly the opposite of Daniels 10 day diet. The effect of doing these two diets in tandem is very powerful and has wonderful results. You should lose 2 Kg a week and continue your journey to success. I emphasize it is only a 6 week program and then I suggest you do Daniels diet again and then move to the Moderation diet (Daniels Diet Lifestyle). 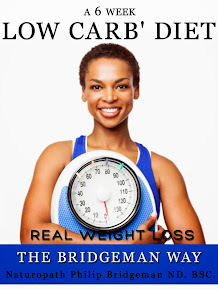 • You can simply follow my diet plan as found in the book or you have the choice of using my weight loss protocols that go with the diet. This consists of healthy Protein shakes and bars and herbs. If you want my personal support during these 6 weeks – email me at philip@wisdomforhealth.net and I will offer you the protocol and tell you the costs etc. Long distance consultations work very well and i do them though Skype or internet and or phone and emails. As we speak i am consulting someone in Greece. By the way - i lost 2 kg and 2 cm off my tummy. Good Morning & congratulations you have reached the last day. Now is the time to start thinking and planning for the future. If you want to go on with the diet for another 2- 5-10 or 20 days please don’t stop, it is your choice. However - Use wisdom and monitor how you are feeling and press on only if you feel good and desire to continue. For those who are looking forward to adding other foods, enjoy. Remember you can undertake the diet as often as you desire and whenever you choose. Testimonies show that the majority of people who completed this Diet lose weight. However not everyone will lose as much as they expect. There are 4 main factors stopping or making it difficult for weight loss. 3. Hormone Imbalance – high oestrogen and often overweight. Often thyroid and hormone problems are found together. Use the same diet plan as the other two points and you consider a saliva hormone test and or herbs to assist. 4. Adrenal fatigue or 'stress burnout'. 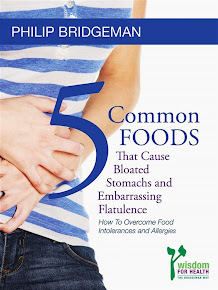 There are cases, where underlying factors, have initially slowed or prevented weight loss. But the good news is by using the diet plans I have made and with lifestyle changes you can reverse the situation and not only lose weight but address the health issues as well. Anyone who follows this diet, but does not lose much or any weight should see this as a ‘positive’? Why, because it is showing you that there is something else you may need to address to achieve the weight loss and good health. It should motivate you to search out and find what that is. You may need a practitioner to help you find the answers. I can offer you much support and help you get the answers you need for losing stubborn weight. Most people put weight on slowly, over a period of time; too much of the wrong food and not quite enough exercise is the main reason. To achieve long-term weight loss there is one vital rule - the energy put into your body (the food) must be less than the energy used. This is a mathematical and physical law. Even a good diet may not bring a satisfactory weight loss unless the expenditure of energy is increased. This means there must be regular and consistent exercise included in your long-term lifestyle as well as the dietary changes. I found this time on Daniels diet - i over ate one meal. I also ate too many high GI fruits like mangoes and stone fruits and bananas, which is OK generally speaking but can hold up your weight loss. Although i feel good on these foods it probably would not help weight loss. look forward to talking to you tomorrow for the conclusion of Daniels diet plus get your testimonies and to set up the next phase to follow - so you don't fall back into the old habits. Satisfy thirst - the natural way? Testimony from the previous group Daniels Diet ( expecting similar from this one) ; a 57 year old patient who has just completed the Daniels diet for the first time. She is a stroke victim and i add that to emphasis that any one can do this diet, its never too late or you are never too young or old. One major thing i often notice when doing the Daniels Diet is - i notice that i am not hungry or craving anything. my Tummy does not need so much food to fill it up. I feel contented after a veggie juice and some fruit. And i actually have better concentration and work stamina when eating less. The old routine or habits are the challenges as you are then drawn to automatically have your snack of whatever when watching TV or danger times. I just replace that time with some 'allowed' food so i am not wanting to give in to the habit or desire. I find this works well and i enjoy my fruit or nuts much more. Morning walk as i start work early and have less time. Watermelon for afternoon tea - watermelon is one of the best fruit to eat nutritionally wise and is a great diuretic for anyone with fluid retention. Dinner - simple steamed veggies and brown rice - with one of my dressings from my book to add flavour. Next Blog - i will be asking those who wish to continue on for 14 days or 20 days? ?Are you ready? I have to admit doing Daniels Diet in summer can be a little easier than in winter. Because hot weather makes eating salads easy and a joy. Also the in season fruits are plentiful - from all stone fruits like mangoes, peaches, plums, apricots etc. However in winter of course we can enjoy soups and curries and peppers more, so it does equate out and allows 'any time' as a good time to undertake Daniels Diet. Today i give out 2 cold weather (really all weather) recipes. What i always notice when on Daniels diet (and hopefully every day), is that you really appreciate God Garden foods, especially fruits. Why do we think that sugary man made foods are nicer that a beautiful mango or strawberry's for dessert. As i chewed (slurped) into a mango last night, it i could not help but thank God for such a beautiful, sweet food. My thinking at that moment was; 'this fruit is way better tasting than chocolate, candies, cookies etc'. The point is that when you are addicted to a food like chocolate it seems to taste the best ever food ( and yes i have been there in my past) and you think 'it tastes so good, how can this be harmful'. Yet when you are eating properly or on Daniels Diet our taste and thoughts change, we enjoy the natural foods far more than the processed ones and you feel so much better after eating it as well. 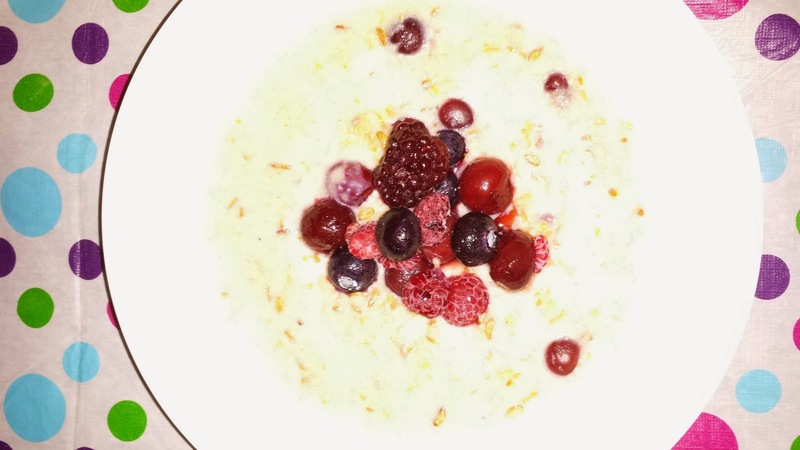 My secret Breakfast Recipe - Philip's Coconut - Millet and Berry Porridge. First i get a pkt of organic millet and cook enough for about 4-5 days. Cooking instruction should be on the pkt. I place it in the fridge. Breakfast time - I heat some of water and add 1 tablespoon of Quinoa, 1 tablespoon of polenta and 1 tablespoon of diced Coconut. Plus pumpkin and sunflower seeds (can be any seeds).Then as it boils i add in what ever amount of the already cooked millet that i fancy. Stir to the consistency you like then - add Frozen berries just before you finish cooking to melt the ice off them and stir into porridge just a little to get the flavor into the porridge but not over cook them. All this take less than 5 minutes. Cooking time is up to you but just enough to make the porridge go a little think. Also you get used to the quantity after one or 2 tries. You can use almond milk if it is pure to make it more creamy. It is now 10 AM and i am feeling fantastic, clear headed and into finishing this blog. I had my millet porridge for breaky. I notice that the less 'junk' food or sugar type foods you eat the less you desire them. And the opposite is true - the more you eat of them the more you desire them. That means the longer the Daniels diet goes on the easier it is to break the hold that these harmful foods have over you. I no longer desire bread for example. Also some people choose to follow the diet for 14 days or 20 days, which i encourage if you are feeling good and wish to do so. this morning i went for a prayer walk, only 20 minutes. Had the lemon in water and veggie juice. Stone fruits is next on the list. Lunch is mixed salads again. i mostly just keep it simple and quick. I wrote the 'Pure and Real Recipe Guide' to give choices for people who want to cook and experiment with foods. fruit and walnuts only for afternoon tea. Good morning - Welcome to day 5 - we are half way there! And i have to say that the longer you are on the program the easier it gets - i hope that is your case as well. I have based this diet on the wisdom of Ancient Scriptures and modern day nutrition. 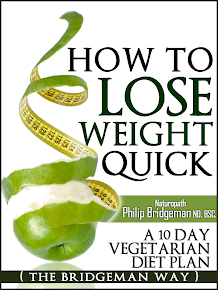 This diet bridges the gap between the Bible times and Today and you can benefit from all that wisdom. Positive Scripture to start the day. Today's lifestyle has added many diseases to the world that are directly related to our modern day eating and drinking habits. Sad, but true! It makes sense, therefore, that to overcome modern day diseases (including overweight) it is necessary to take some “modern” out of the equation and restore certain aspects of our lifestyles to how they were in previous times. Keep in mind that the majority of the world’s population suffer some form of ill health and I estimate that 70% or more of every illness is caused (or linked) by what you do, or don’t, put in your mouth. People carry baggage from previous weight loss programs. I have seen this scenario often in my clinic, where people have tried every diet that is available. They have lost some weight but quickly regained it and often added even more afterwards. I want you to know that I fully understand and empathise. I am here to help, to give answers and set out a series of tailored, step by step, proven effective treatment strategies (plans) that will lead you to long term success. So no matter where you are in the world, with modern technology i can consult with you and help you. Simply contact me. Just yesterday a lady from Greece emailed me for a consultation. Don't suffer in silence or put up with symptoms that can be fixed, you are far to important. Day 5 in my life. I confess i ate too much of my brown rice Dinner and my body tells me because i could feel it take the edge off my well-being yesterday. I believe we should always listen to our body - it will tell you things if you first get healthy and then take notice on how you feel. And yes you can over eat good foods. Bike ride for 1 hour - its hot here so i made sure i hydrated and ate as soon as i got back. lots of water (1/2 litre) - fruit - vitamins and veggie juice coming up soon. I found some ones wallet on the river and trying to get there phone number to return it. no nuts today. just fruit and another veggie juice. Dinner tonight. Left over Brown rice and veggies - i find brown rice fills me up and is nice with lots of herbs.